CD147 antibody recognizes Basigin, also known as 5F7, collagenase stimulatory factor, extracellular matrix metalloproteinase inducer, EMMPRIN, leukocyte activation antigen M6, or CD147. The antibody has been extensively validated for western blotting using whole cell lysates. Mouse anti Human CD147 antibody recognizes the human CD147 cell surface antigen, also known as Basigin, EMMPRIN and collagenase stimulatory factor. CD147 is a 385 amino acid single pass type 1 trans-membrane glycoprotein bearing 3 potential N-glycosylation sites, a single N-terminal (distal) Ig-like C2-type domain and a more proximal Ig-like V-type domain in its extracellular region. Mouse anti Human CD147 antibody was raised and screened against recombinant extracellular region of huCD147 expressed in CHO cells. Epitope mapping indicates that this antibody binds to an epitope within the distal Ig-like C-2 type domain of human CD147. Mouse anti Human CD147 antibody binds to both un-stimulated and phytohemagglutinin (PHA) stimulated (activated) T lymphocytes with levels of CD147 enhanced following PHA stimulation. CD147 is also expressed by peripheral blood and endothelial cells as well as many cultured cells of hematopoietic and non-hematopoietic origin. 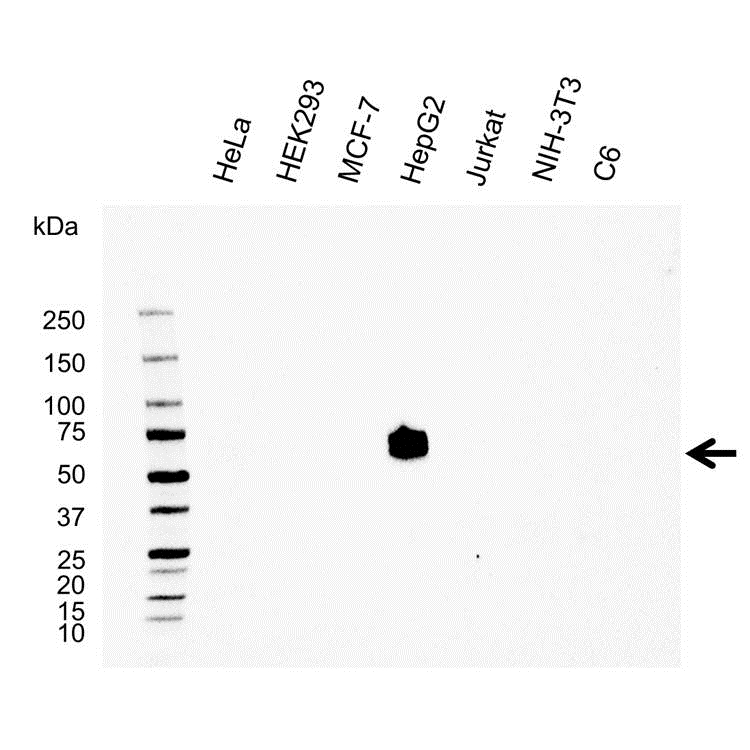 Mouse anti Human CD147 antibody recognizes human CD147 as a band of ~53 kDa by western blot analysis of HepG2 cell lysates under reducing conditions. Anti CD147 antibody detects a band of approximately 53 kDa in HepG2 cell lysates.